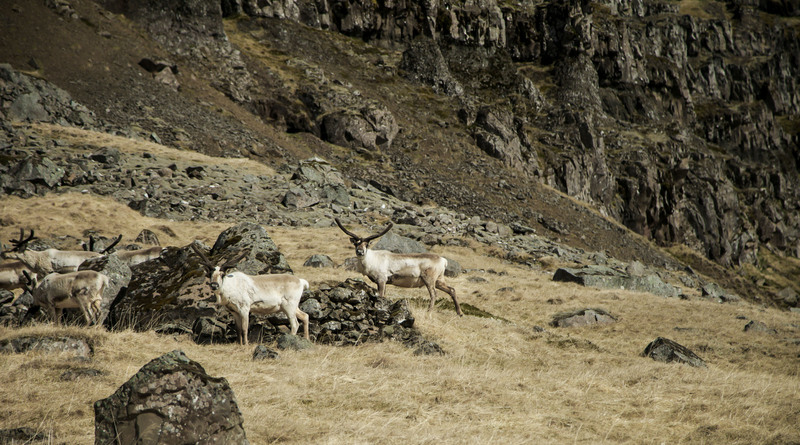 Step into the charming landscape of East Iceland on a quest to see wild reindeer roaming the area. 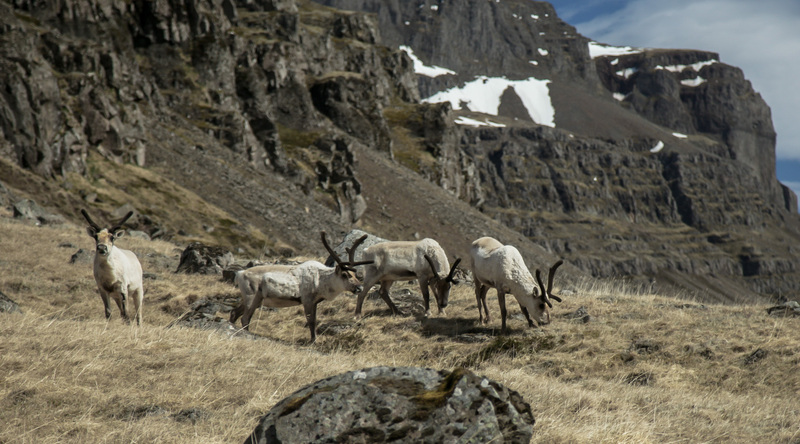 The reindeer were first imported into Iceland in the late 18th century and were only able to survive wild in East Iceland. 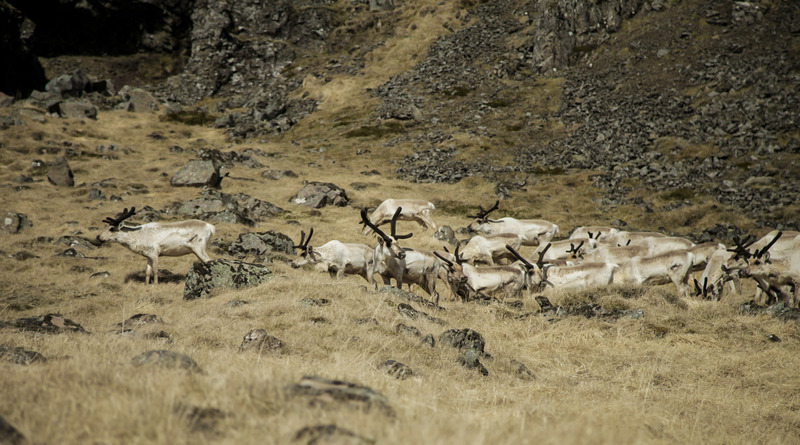 Winter and spring are the best times of the year to see big herds of reindeer since that is when they migrate down into the valleys in search of food. Smaller groups can still be found all year round. 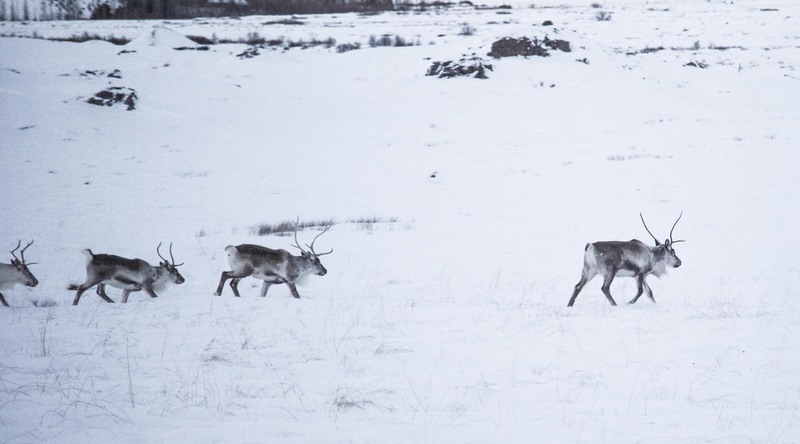 Join our expert guides on a search for the reindeer with the help from the local farmers who inform us where they were last seen. Traveling in a 4×4 Super-Jeep with the capacity of max. 6 passengers and with the travel style of slow travel the experience becomes as strong as ever. Operated: From 20th of September to 20th July, upon request. 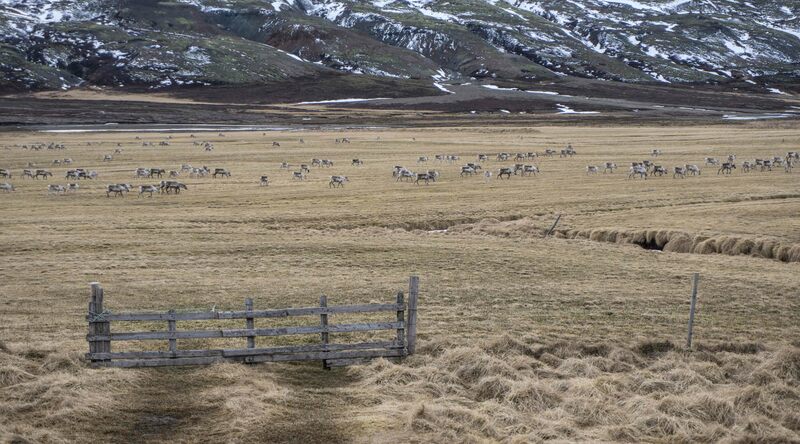 Meeting point: Possible pickup at guesthouses in any of the following towns, Breiðdalsvík, Stöðvarfjörður, Fáskrúðsfjörður, Reyðarfjörður, and Egilsstaðir. 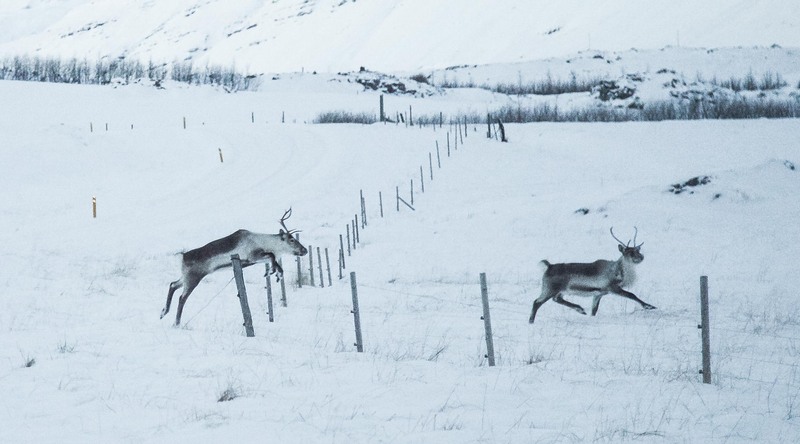 – We can not guarantee that we will see reindeer but we always do everything we can to make sure we find them, and our chances are always good. 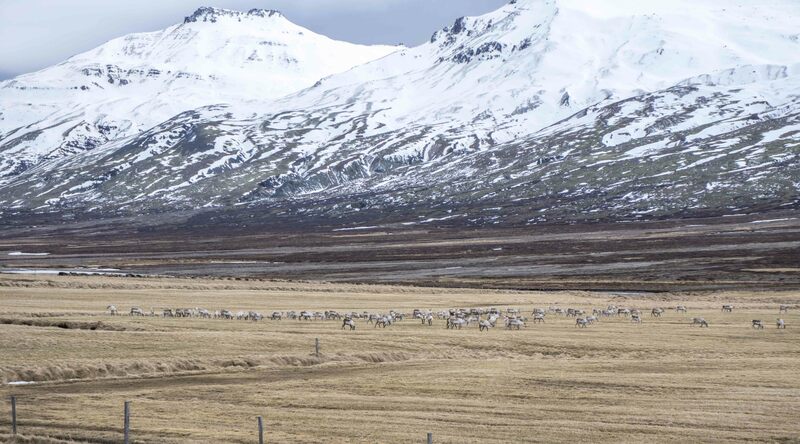 During this tour, we will drive around the stunning landscape of East Iceland, but the route varies each time depending on the most recent sighting of reindeer in the area.